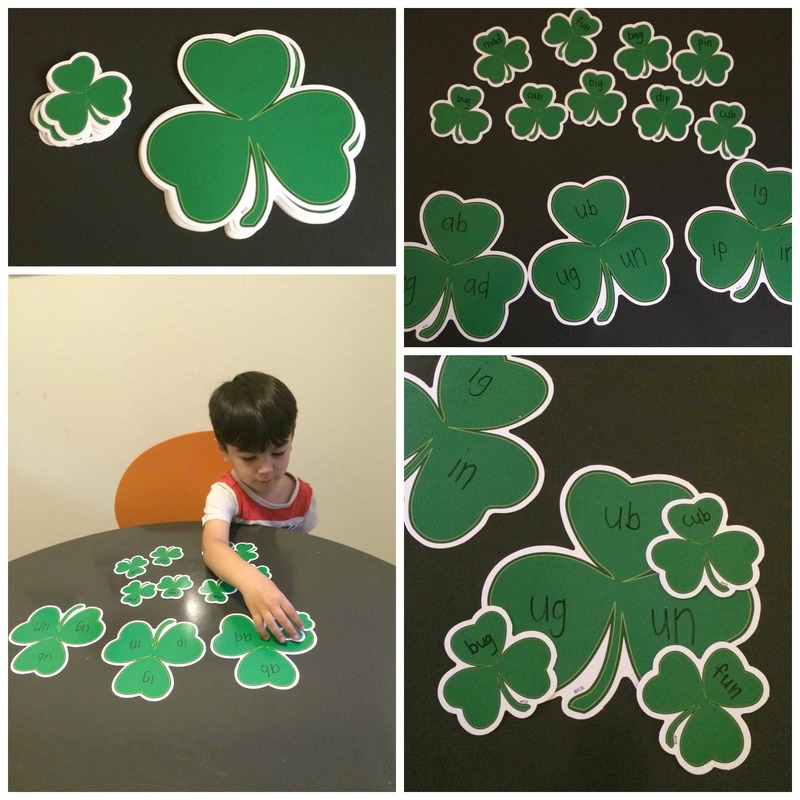 Separate the Shamrock Accents and Mini Shamrock Accents into two piles. Write a different word family on each part of the shamrock accent. 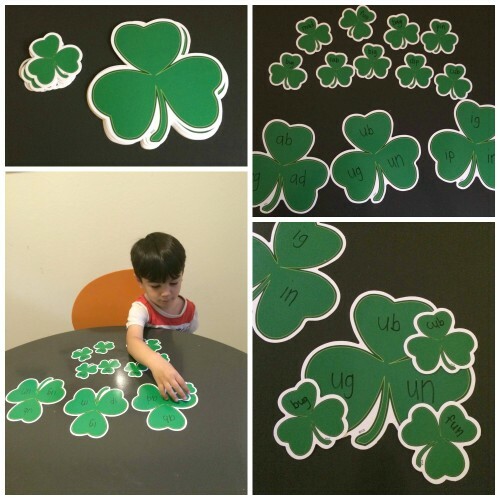 On the shamrock accents above, we used “-ab, -ag, -ad, -ub, -ug, -un, -ig, ip, and -in”. 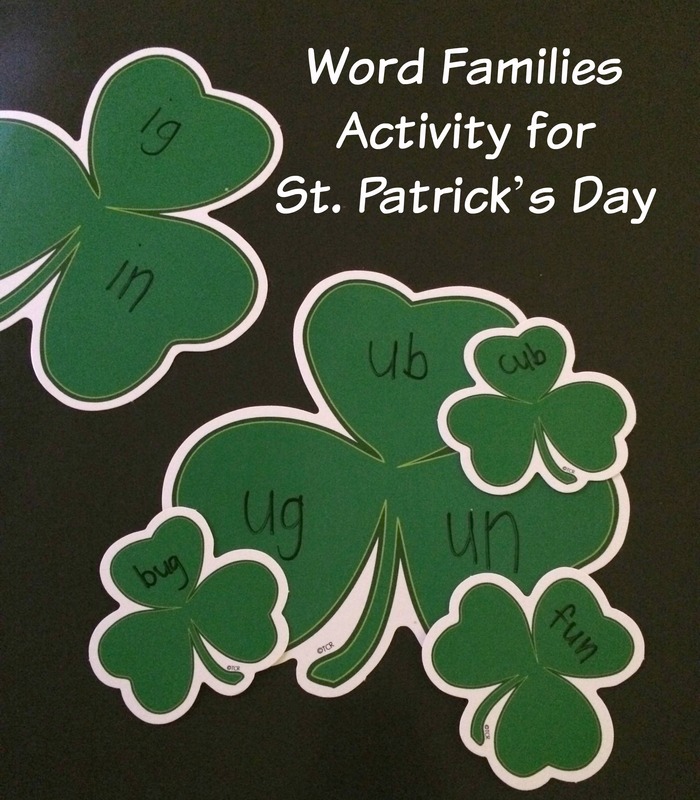 On the mini shamrock accents, write words that correspond to each of the word families. You can write several words for each word family. Shuffle the mini shamrocks words. Have the students match up the words with its corresponding word family. To see more St. Patrick’s Day activities, make Shamrock Potato Print Stamps or see Celebrating Holidays: Reading, Writing & Hands-on Activities.